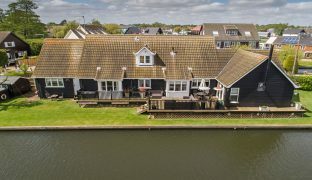 A beautifully presented Broads residence just off the River Bure with impressive views out over the water, private quay headed mooring extending to approximately 180ft, with spacious and versatile accommodation including provision for an annexe. 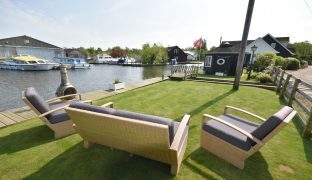 A beautifully presented Broads residence set just off the River Bure with impressive views out over the water with private quay headed mooring extending to approximately 180ft, with spacious and versatile accommodation including provision for an annexe, all located within walking distance of the centre of Wroxham. 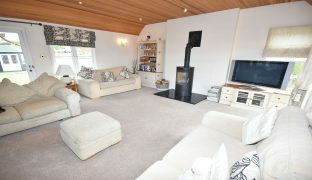 Renovated and remodelled by the current owners to a high standard, with generous accommodation that consists, on the ground floor, of a reception hall, a large living room with wood burner and views of the water from all four elevations, a well fitted kitchen/breakfast room, utility room, cloakroom, master bedroom with river views and a four-piece en-suite bathroom, study/bedroom 4 and two further double bedrooms with a spacious shared shower room, perfectly arranged with use as an annexe in mind. 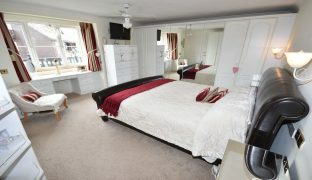 On the first floor there are two more generous double bedrooms and a further bathroom. 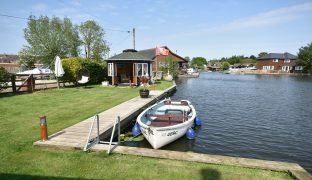 Features include a south easterly aspect with raised sun deck looking out over the water to the River Bure beyond. 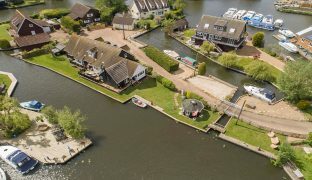 Extensive private quay heading with provision to moor multiple craft extending to approximately 180ft along the main plot with an independent mooring plot set behind the house with additional parking and a further 60ft of quay heading. 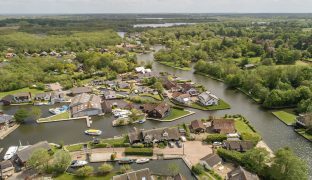 With access to the entire Norfolk Broads network and with the centre of Wroxham on its doorstep, Hickling House offers the perfect location to enjoy all that waterside living has to offer. Staircase to first floor, two radiators, wall lights, coved ceiling and a built in cloaks cupboard. 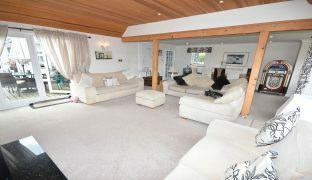 An impressive quadruple aspect reception room with views out over the water from every window. 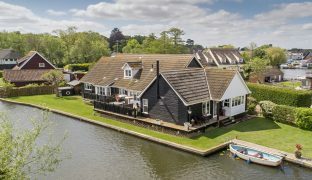 Contemporary wood burner, down lighters, wall lights, two radiators, box bay window looking out over the moorings and French doors leading out onto the raised sun deck offering a constantly changing view of the river. 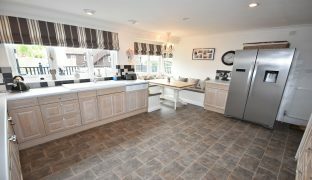 Extensive range of wall and floor mounted units with 1½ sink unit and drainer, built in double oven with hob – offering both electric and gas cooking, extractor hood and a built in dishwasher. Box bay window looking out over the water with fitted seating area, perfect for family dining. Coved ceiling, down lighters, partially tiled walls, glazed double doors to the reception hall, radiator. 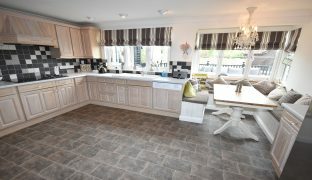 Range of storage units with 1½ sink unit and drainer, plumbing for washing machine and space for a tumble dryer. Window to front aspect, radiator, coved ceiling. 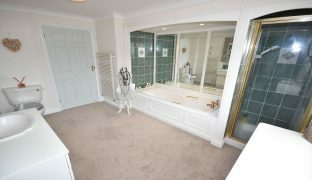 Low level w/c, vanity wash basin, coved ceiling, panelled door, window to front aspect. 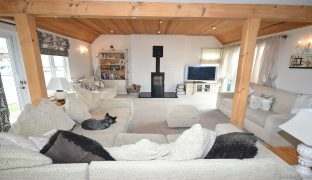 Box bay window with views out over the water, extensive range of fitted furniture, ceiling fan, wall lights, two radiators, coved ceiling. 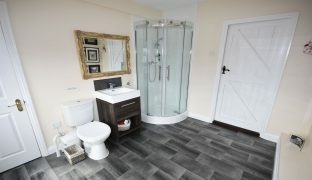 Large four-piece bathroom with panelled bath, vanity wash basin, low level w/c, shower enclosure, coved ceiling, down lighters, heated towel rail, extractor fan, window to rear. Door to reception hall. 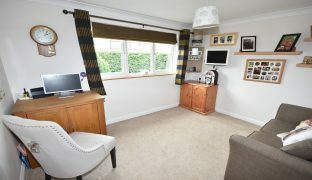 Window to front aspect, coved ceiling, radiator, panelled door. 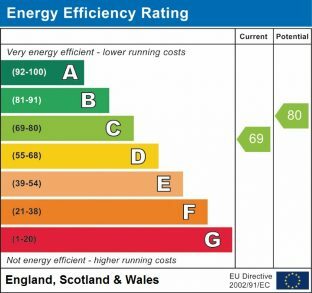 The following ground floor accommodation could be used as part of the main house or as an annexe. Window and door to rear with views out over the water. Coved ceiling, wall mounted heater, panelled door. Window to front aspect with view out over the water. Panelled door, wall mounted heater. Velux window to front aspect with views of the water, coved ceiling, large built in airing cupboard, built in boiler cupboard. 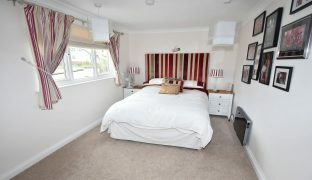 Box bay window to front aspect with views of the water, four-door fitted wardrobe with two matching chests of drawers, access to eaves, ceiling fan, coved ceiling, radiator, panelled door, wall lights, radiator. 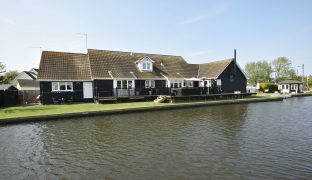 Dual aspect with views out over the water, access to eaves, panelled door. 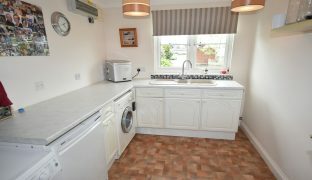 Low level w/c, vanity wash basin, panelled bath with shower and screen, heated towel rail, extractor fan, panelled door, window to front aspect. 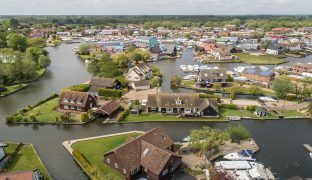 Hickling House is approached via a gated private road. 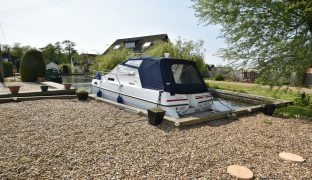 The property benefits from off road parking for several vehicles with access to the carport. 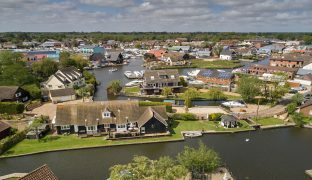 The garden is dominated by impressive views of the water leading out to the River Bure. 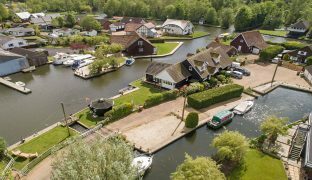 The quay headed frontage extends to approximately 180ft offering private moorings for multiple craft. 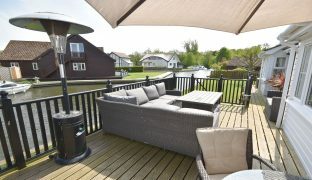 The garden is laid to lawn, enclosed by fencing and mature heading with a summer house and a generous raised south facing sun deck offering the perfect vantage point to appreciate the ever changing view. Outside lights, power and water provided. 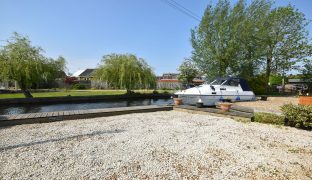 A few short steps away from the main house is a separate mooring plot included in the sale. 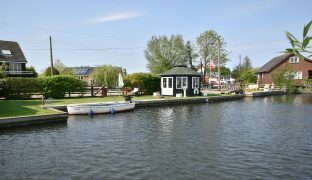 Offering further parking for several vehicles and quay heading extending for approximately 60ft providing a generous additional berth. 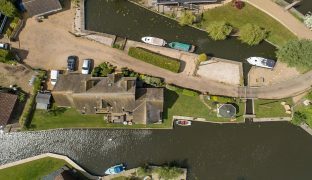 Marsh Road is privately owned with an annual maintenance charge of £75. 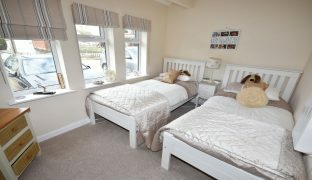 Bure Court is also owned privately, with responsibility shared between the five residents.